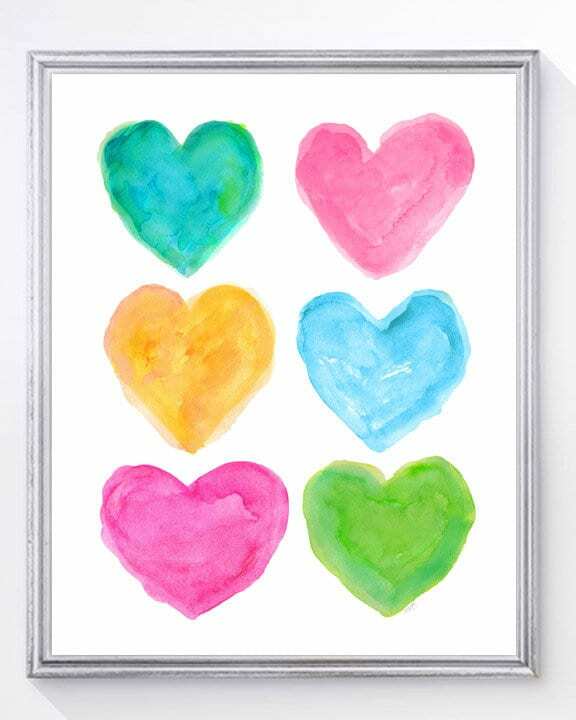 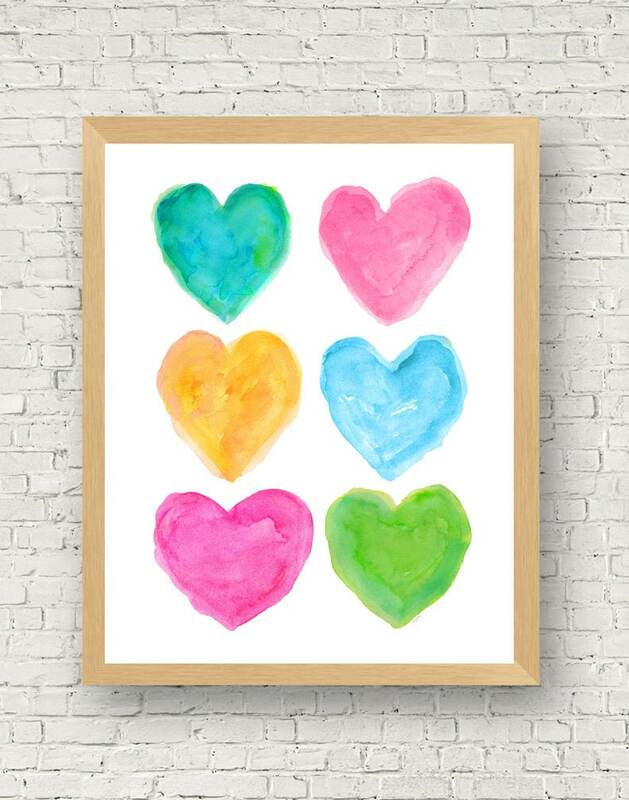 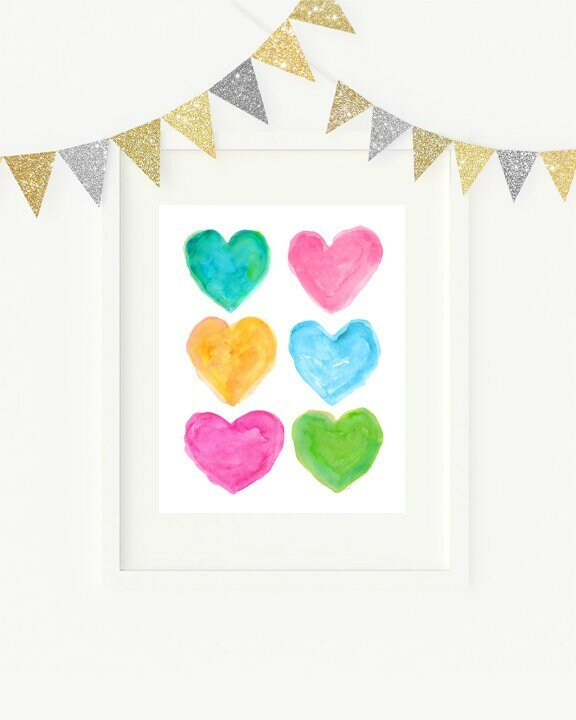 A pretty collection of vibrant watercolor hearts perfect for a preppy decor theme. 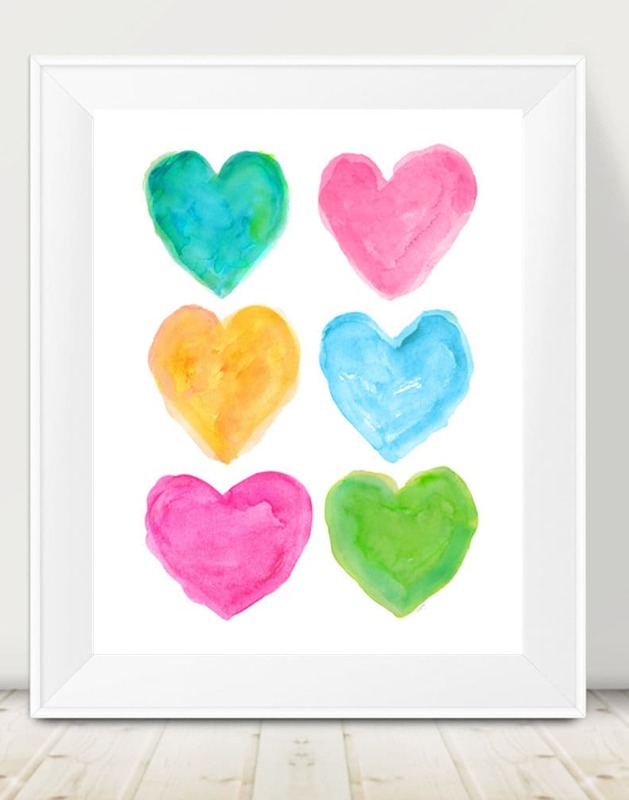 The print is recreated from my original watercolor paintings. Fits perfectly in standard 11”x 14” frames.